This morning, we received some deeply upsetting news about Zen, the stray boy who’s story we recently shared on Facebook. 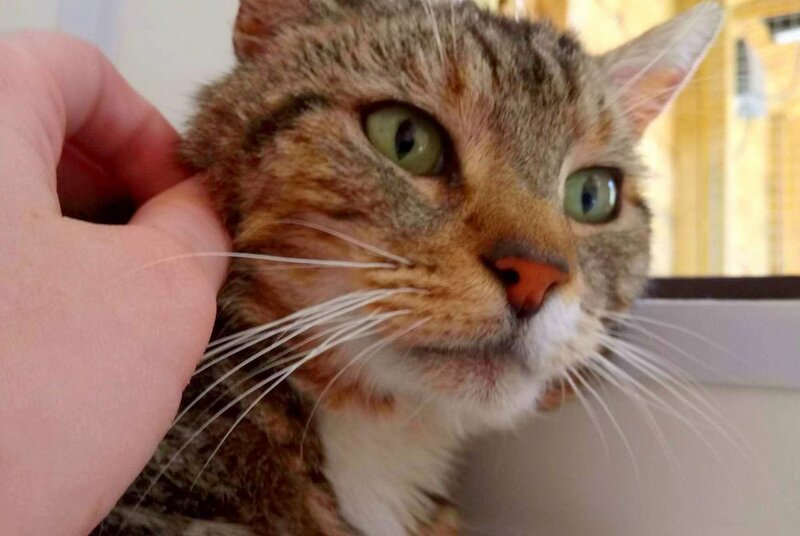 Rescued from Plumstead after years of living on the streets, Zen was quite obviously in fragile health upon arrival at our fostering hub, with a head tilt, a neurological symptom, and an elevated temperature. We were hopeful however that Zen could be restored to relative strength with lots of comfort, warmth, good food, and fuss from our volunteers. But when his temperature did not decrease after a week of antibiotic treatment, we asked our collaborating vet to run further tests. These tests revealed that Zen is suffering from Lymphoma, a form of cancer from which he will not recover. It’s devastating to us that after years of living on the streets, Zen’s chance to have a loving, long-term home has been snatched by a cruel stroke of fate. But while we can’t cure Zen’s Lymphoma, there are options for keeping his symptoms at bay that are non-invasive and non stress-inducing. If Zen responds to these treatments, our vet estimates that he could potentially have two years of comfortable life ahead. He is, at present, eating well and enjoying strokes and attention, and occasionally bathing in the sun. And so while Zen is capable of being happy and comfortable, we want to find him a foster home for whatever time he has left, be that two years or several months. There are no guarantees with Lymphoma, and we do not intend to allow Zen to suffer once he is showing signs of being in pain. We’re looking for someone who can offer Zen a peaceful, laid back environment, with CatCuddles overseeing his veterinary treatment. We would need to work closely with this person to continually asses Zen’s quality of life, and when the time comes, collaborate with them to make that final, difficult decision. He will need daily medication but is otherwise not a demanding cat – he just wants a full bowl, a warm bed, and lots of strokes, and is gentle and incredibly sweet. To take on a cat with limited time is tough, and we know such a brave, kind-hearted person is a rare find. 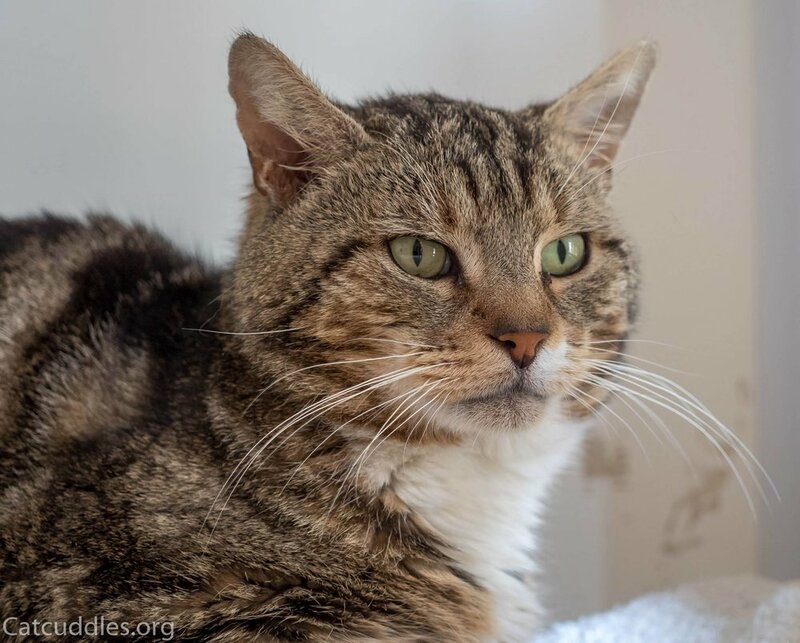 If you think you are such a person, and can offer Zen a place in your home to guide him through his final days, please get in touch by emailing Rae@CatCuddles.org.uk. We want Zen to experience what it’s like to be loved and safe in a home before his time is up. We wish we could give him so much more than that.